The owner of a building being occupied by activists in Dublin’s north inner city has served them a notice to quit, threatening to take legal action if the property is not vacated. Today, the notice was placed on the door of no.35 Summerhill Parade. It reads: “Take notice that all those present on this property are trespassing therefore are not authorised to be present on the property and are present at their own risk. The notice states the owner is Pat O’Donnell & Co Ltd Retirement and Death Benefit Plan, the trustees of which are PJ O’Donnell and Peter McLornan. 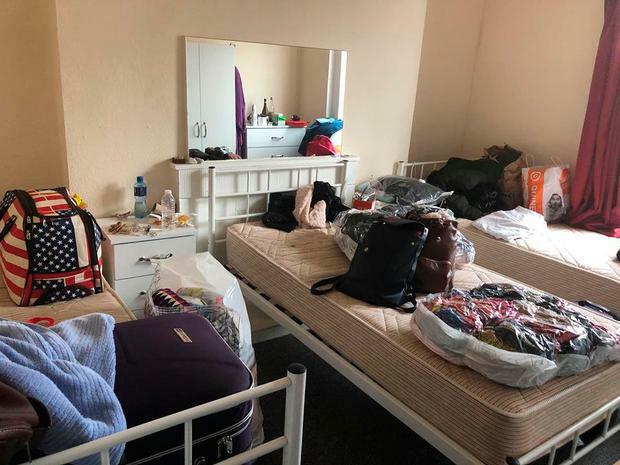 For months, mystery surrounded the ownership of a number of properties in Summerhill Parade after up to 120 tenants were evicted with only 48 hours notice due to “fire safety reasons”. 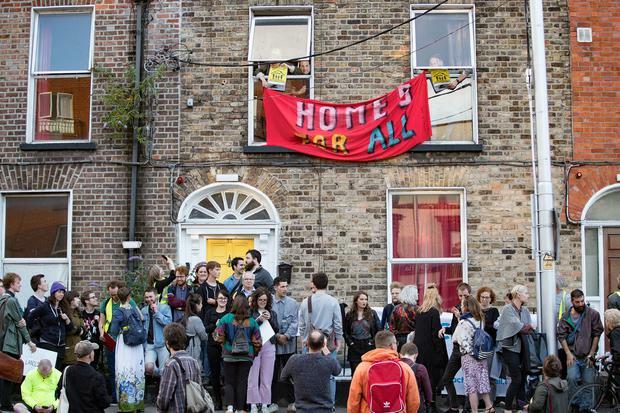 Last week, around seven housing groups, including Dublin Renters Union and Dublin Central Housing Action, organised the occupation of no. 35 in response to the evictions. Dublin Fire Brigade inspected the properties in May and found them to be in breach of fire safety regulations. However, according to the Property Price Register, two of the houses were each sold for €350,000 in February this year. Tenants were not notified in writing of the eviction and were told by people acting on behalf of the property owner that they needed to leave. Tenants said they have never met the owner and had been paying their rent to a Brazilian man believed to be subletting the properties. Up to 20 people were living in each of the houses, and some only had one bathroom between them. 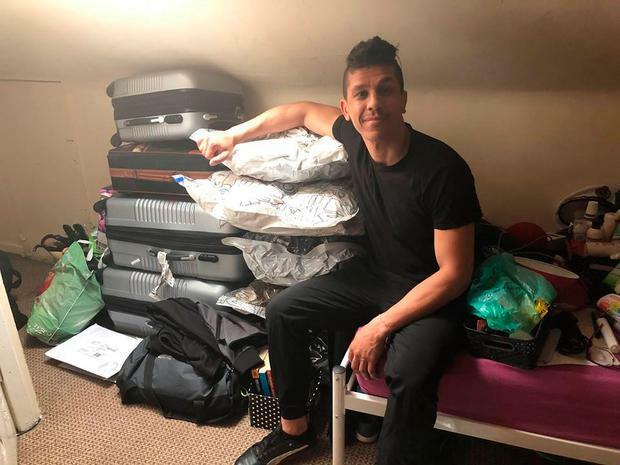 Washington Bertolino da Silva (33), who lived in one of the houses for two years, spoke to Independent.ie as he was packing up his belongings and searching on Facebook for somewhere to spend the night. “I arrived here in 2016 and found out tonight we have to leave. I had to go to Penneys to buy suitcases and stuff to pack up my whole life. The conditions are not great but we have no other choice. “At least in my room there are no bunkbeds and I only share with one other person… now I am searching in Facebook groups for somewhere to sleep. Look at all my suitcases, where can I go,” he said. Housing activist group, Dublin Central Housing Action, has organised a rally for 2.30pm tomorrow at Summerhill Parade in response to the notice. Independent.ie has contacted Mr Pat O’Donnell for comment. Pat O’Donnell is involved in the running of a business which supplies plant machinery and equipment.